Simon Albert has a background in the fields of natural resource management, water quality, marine ecology and climate change. For the past 15 years he has worked at the intersection of these fields in both Australia and Melanesia providing a gradient of social-political-ecological factors. Through a broad understanding of land-sea connectivity Dr. Albert has developed integrated monitoring approaches that capture temporally and spatially relevant water quality trends. 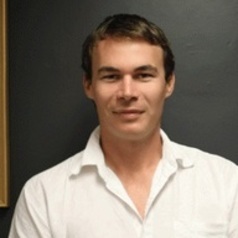 Dr. Albert has worked on a range of resource projects across Melanesia in both a research and consulting capacity. Over the past 10 years of working closely with communities, government and industry in Melanesia, Dr. Albert has established strong networks and is a highly skilled communicator of environmental monitoring and research to communities.